David Kooby operated on Monica Pearson in January 2015 to remove a cancerous tumor from her liver. Former WSB-TV anchor Monica Kaufman Pearson is used to delivering bad news to a television audience but receiving it is another story. Pearson was diagnosed with liver cancer in January 2015. Her Emory internist, Rio Dickens, suspected something was wrong following a routine physical exam. It was Winship surgical oncologist David Kooby who confirmed the diagnosis. Pearson recalls saying to him, "What do you mean it's liver cancer? How did I get this? Where did it come from?" 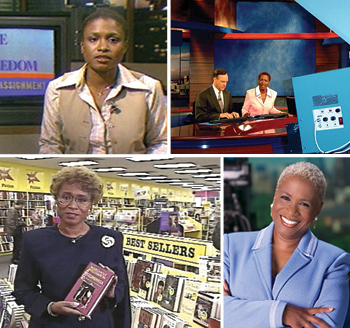 Monica Pearson spent 37 years as an anchor and reporter for WSB-TV. When she retired in 2012, she never intended to slow down. A liver cancer diagnosis changed that. Photos above courtesy of WSB-TV. This wasn't the first time that Pearson, now 68, faced a cancer diagnosis. Eighteen years ago, Winship surgeon Grant Carlson treated her for ductal carcinoma in situ (DCIS) which is considered a pre-invasive type of breast cancer. She recovered and jumped back into her busy career as a journalist. Ironically, her research skills proved to be too good when it came to her latest medical situation. "Everything that I read about liver cancer pretty much said I was going to die. Dr. Kooby answered all of my questions and told me that 'you can't believe everything you read on the Internet, here's where you are.'" "In Monica's case, she had a fairly unusual situation in that she had a primary liver cancer and she did not have one of the hallmarks that other liver patients have, which is cirrhosis or underlying liver disease," explains Kooby. Risk factors for liver cancer include heavy alcohol use, substantial morbid obesity and smoking. Pearson didn't fit any of those categories. "I don't know why I got liver cancer, but I was in the right place at the right time with the right physicians to get me healthy again. That's why I come to Emory." 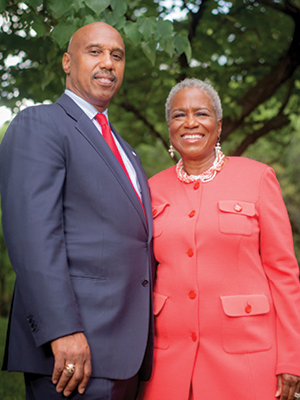 John Pearson, Sr. was by his wife’s side for every step of her cancer journey. Kooby says it is unlikely Pearson's two cancer diagnoses are related. Because she was relatively healthy at the time of diagnosis, he thought she could tolerate aggressive treatment. Kooby quickly consulted with a multidisciplinary team of Winship gastrointestinal specialists and everyone agreed that the next step would be surgery. Kooby performed a right hepatectomy, removing close to 60 percent of Pearson's liver. "Even though the tumor was large, it came out nicely, and under the microscope it looked like a lot of the tumor cells were dead." In other words, the tumor had "burned out" and the cancerous cells had not spread to surrounding lymph nodes or other sites. Pearson was lucky. No one knows that more than her husband, John Pearson, Sr.: "My wife is the ultimate researcher and she truly interrogated him (Kooby) about the process. He was very calm and wasn't sugarcoating anything." The surgery took longer than expected because the tumor was close to a major blood supply and what Kooby calls the "command center" of the liver that keeps the organ alive. "We put her through a very big operation, which she tolerated beautifully and the prognosis is quite good," Kooby says. Pearson returns to Winship every six months to meet with Kooby for an MRI scan and to check her blood work. Her liver is regenerating and performing well, but Pearson admits recovery hasn't been easy. "I was really tired after the surgery so I had to learn to stop doing so much and sleep. I'm really watching what I eat and more importantly, I'm not having stress in my life." Pearson retired in 2012 after 37 years on the anchor desk. She never intended to slow down, but facing cancer a second time around has changed her outlook. "I think what this cancer diagnosis did for me was it made me realize that I really am in the last third of my life and it made me want to do the things I love instead of the things I like." These days, she concentrates on spending time with her family and on her charity work. In March, she will serve as emcee of the annual Friends of Winship fashion show. Fans who have read about her cancer journey contact her via email and social media for advice on how to deal with their own diagnoses. She takes the time to reply to everyone and she shares similar advice. "I always say let your attitude be one of gratitude, because you have this for a reason. Maybe it's to make you slow down, maybe it's to get you in touch with your faith. It makes you sit down and ask what's really important and to examine where you are in your life. Breast cancer did that for me, but having liver cancer did it in a bigger way." 35,660 new cases will be diagnosed in the U.S.
24,550 deaths in the U.S.
From 2007 to 2011, the U.S. death rate for liver cancer increased by 2.5% per year. RISK FACTORS for liver cancer are obesity, diabetes, alcoholic liver disease, chronic infection with hepatitis B virus (HBV) and/or hepatitis C virus (HCV), and tobacco smoking. COMMON SYMPTOMS, which do not usually appear until the cancer is advanced, include abdominal pain and/or swelling, weight loss, weakness, loss of appetite, jaundice (a yellowish discoloration of the skin and eyes), and fever.